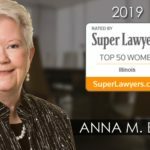 Top-Rated Barrington Divorce Lawyers Assisting Clients with the Division of Marital Property in Cook, Lake and McHenry Counties in Illinois. Property Division, aka “division of marital assets”, as well as debt, is one aspect of the divorce process that should not be overlooked. If the sole decision of property division is left to the divorce judge, they will endeavor to make an “equitable distribution” of the marital assets and debt. Keep in mind, “Equitable” does not mean equal. Because every marriage is unique, determining what is fair and equitable is not always apparent, and the value of certain assets such as businesses, stock options, pension plans and retirement accounts can be extremely complex. 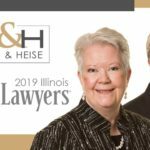 At Bush & Heise, we assist clients in Cook County, Lake County and McHenry County negotiates property settlement agreements that are fair and reasonable while protecting the financial integrity of the client. When negotiation attempts are not effective, we also are accomplished litigators who will fully advocate for you in court. Our Barrington property division attorneys are ready to assist with even the most complex matters related to the division of marital assets. For more than 40 years, we’ve been providing effective legal counsel in cases related to divorce and family law. To learn more about how we can assist you with the division of property in your divorce case, call us today at (847) 382-4560 to schedule a free, no obligation consultation. Our office is conveniently located in Barrington, IL and we serve clients throughout the Chicago area, including Cook, Lake and McHenry Counties in Illinois.